How to revamp your front garden for ultimate street appeal. 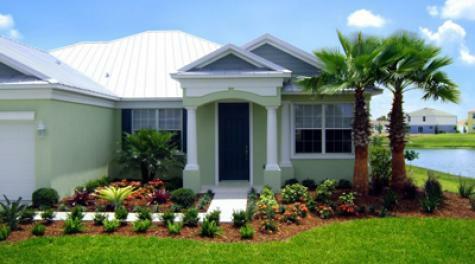 It’s easy to forget how important the front entrance is to the overall look of your home. Street appeal is of a high importance when selling your property as well as for the overall aesthetics of your house, because it sets the tone for what's to come. Here are five ideas on how to give your front garden that much needed facelift - and leave your neighbours green with envy! Create that initial wow factor! Transform your front walkway with the use of interesting materials such as brick, flagstone and pavers; these materials will lend more character and charm to your garden than traditional cement. Adding a slight curve to the conventional pathway is another great way to make a chic statement. 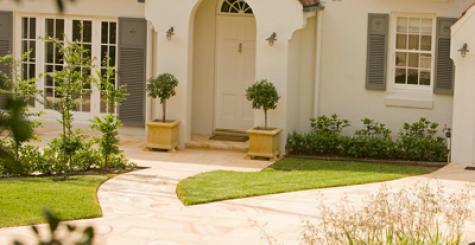 I recommend lining the walkway with low maintenance plants such as Camellias, Lomandras and Birds of paradise. Make your guests feel welcome from the moment they walk through your front gates, with a colourful array of aromatic blooms. 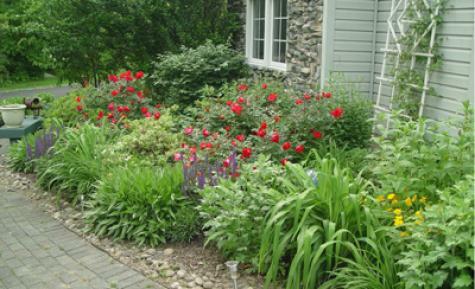 Try planting flowers with bright, bold hues- his top picks are Peonies, Siberian Iris’s and Aasiatic Lily’s. These bright charmers are available in a cheerful variety of orange, yellow and purple. This idea will maximise the potential of your small front garden space. Filling your front garden with medium-sized plants, will not only keep the nosey neighbours away - it will also create a fantastic sound barrier against street noise. 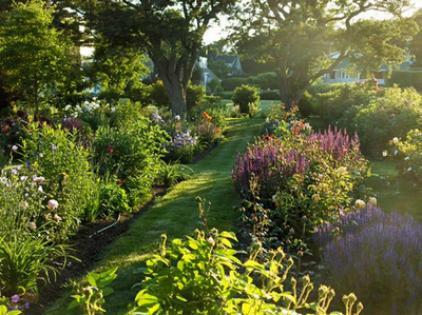 Planting medium to large sized plants provides you with a quiet oasis and actually makes your garden appear bigger. Use a variety of interesting textures, shapes and colours to create the illusion of space. Decorating your front garden with a small hedge is another clever way to create serenity and intimacy - without forming an unfriendly barrier. Create a calming and intimate entry - through the placement of mood and up lights. 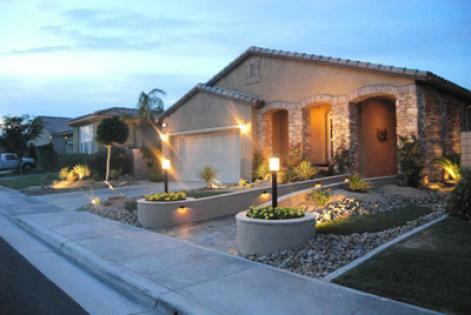 When strategically arranged, these lights can determine which elements of your garden you wish to highlight. Ensure that the lights you purchase are made from high quality, waterproof and durable materials- such as brass, copper or marine grade stainless steel. 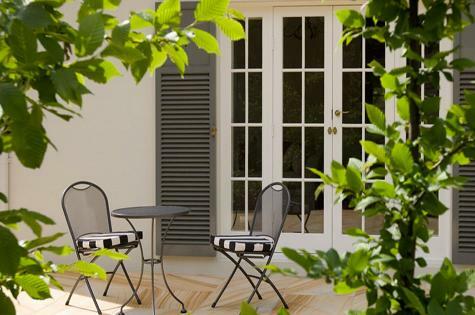 If the space permits, adding a patio to your front garden can provide a great space to entertain guests. Gone are the days of old fashioned front porches, but nothing should stop you from being able to enjoying a cold beverage, out the front of your house with family and friends. See the main picture for what I have in mind from a landscape I developed in suburban Sydney. The picture below shows it in the context of the entire frontage.